Webster’s dictionary defines equal as: of the same measure, quantity, value, quality, number, degree, or same status as another. 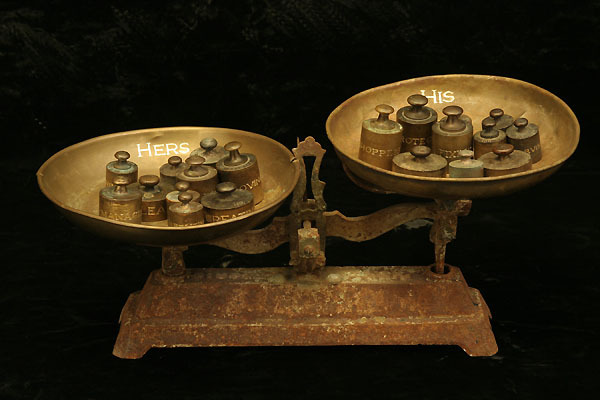 The various tasks and chores men and woman perform daily are engraved on a weight set from an antique scale. Viewers are invited to move the weights around to assess the value of different tasks and play with the balance.